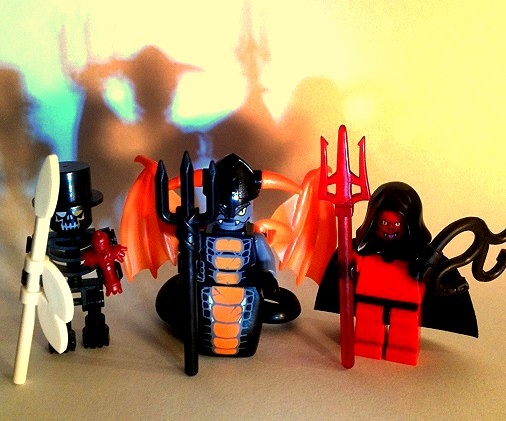 Three MOC minifigs of visitors from Hades. The one on the left I've had for years but gave him the voodoo doll not long ago. The one on the right, I've had for a while but not photographed before. The one in the middle is brand new using the latest BrickWarriors wings in orange. Apologies for the poor photography. My only camera is my phone which dates back to the Stone Age.